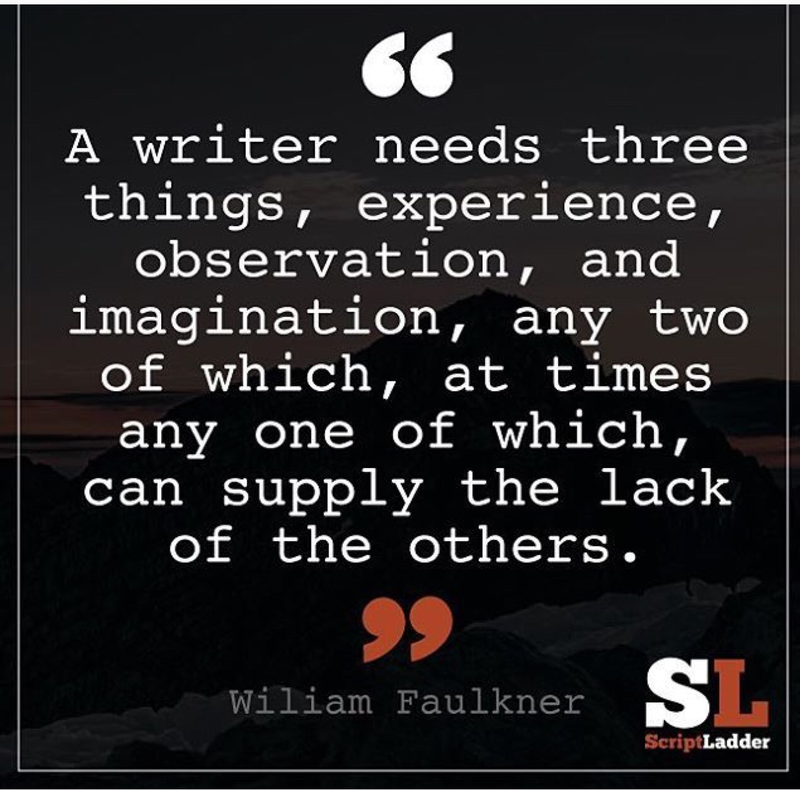 Here are three things a writer needs according to Faulkner. This is a terrific thought and so very true. Thanks Mr. Faulkner. When I was sixteen years old, I decided I wanted to put to pen my story of a girl who wants to be a Kabuki actor, but couldn’t because she was female. For over twenty-five years I never got further than the first chapter of the book which was then titled, Two For the Kabuki for as many years. Thank goodness I waited to write it. I need experience both as a human being on this earth and teacher. Without the experiences, my book would have been very superficial and not what it became. I used to blame myself for waiting so long to write it. As if I didn’t write it, someone else might do so first. Maybe so. I needed all those years to observe people. A great place to do so was in my drama classroom. For twenty years, I taught middle school students. Middle school is the most complex of all the years for a child. They arrive to you as an eleven year old and leave as nearly a fourteen year old. Wow. Think about that! The middle school years are the ones of the body changing, hormones a moaning, pimples, facial hair, squeaky voices and lack of poise. Even the greatest athlete of the group can trip over himself on the way to the cafeteria. I noticed the girl give up their long locks of hair and trying something more daring right around seventh grade. As if the approaching high school years beckon them to mature in to the young adult they will become. I listen to people’s conversations a lot, or rather I eaves drop on conversations. Who needs to write original dialogue? People sometimes express themselves far better than I can. I keep my ears peaked at all times. I have quite an imagination. I’m still afraid of the dark and think strange noises are some alien trying to get me. I won’t put my foot outside the sheets and when I do, it stays on top of the mattress. No dangling my vulnerable foot over the edge of the bed. Because of my experience as an actress and director, I rarely have trouble getting the juices to flow once I open the door to them. Frankly, I have more trouble prioritizing which creative activity I should do first. I always seem to have several irons in the fire–teacherspayteachers products, this blog, social sites to keep up, a play version of Bumbling Bea and a book or two rolling around in my mind. I wish I could put one first over the rest, but I simply can’t. But Mr. Faulkner obviously knows what he’s talking about. If I could write what he did, maybe I’d be quoted instead of him. Contact me at dhcbaldwin@gmail.com or DeborahBaldwin.net or here. I’d love to here from you.